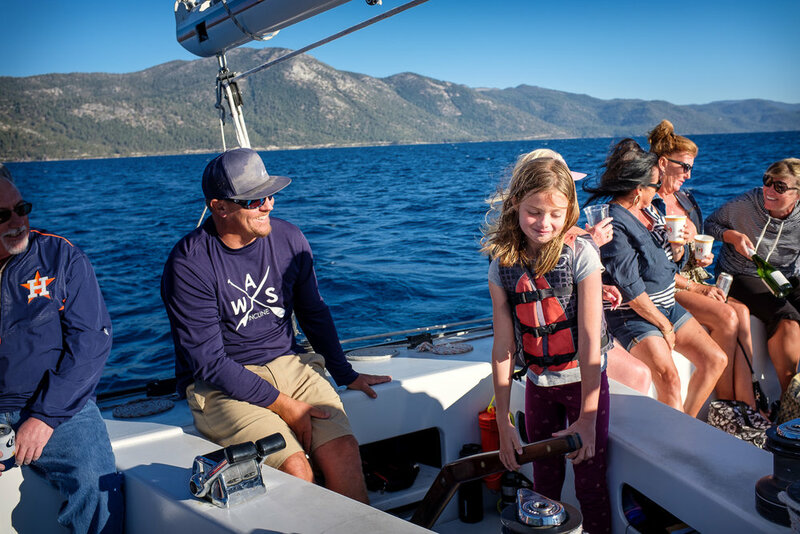 For the past four years, we’ve left the city behind in late summer for a family trip to Lake Tahoe. I love the idea of starting an annual tradition, but this year I was also worried about falling in a rut. So I purposely sought out activities that we’ve never done before in order keep things interesting. While we ended up visiting some old favorites, we also visited a bunch of new places—many directly on the lake itself. We decided to leave a day early and drive halfway to Mammoth Lakes, another one of our summer favorites. 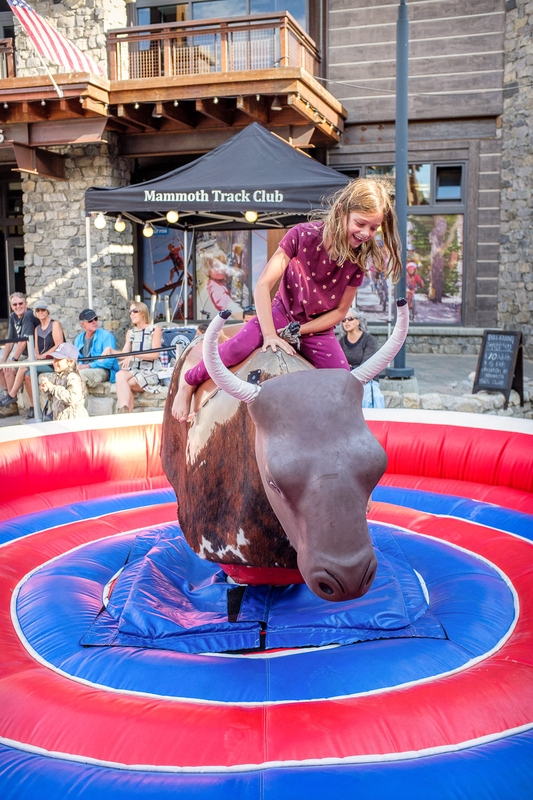 They were having an end-of-summer festival—along with mechanical bull rides. Ironically, it was Paige who had the courage to step into the ring at first and Quinn reluctantly followed after her. At the selfie booth in Mammoth. Carlie and Quinn riding near Truckee. On our last day, we went out on a catamaran that ended up being a bit of a booze cruise. But, since our kids were the only ones on the boat under the legal drinking age, Captain Rusty let Quinn steer the ship.